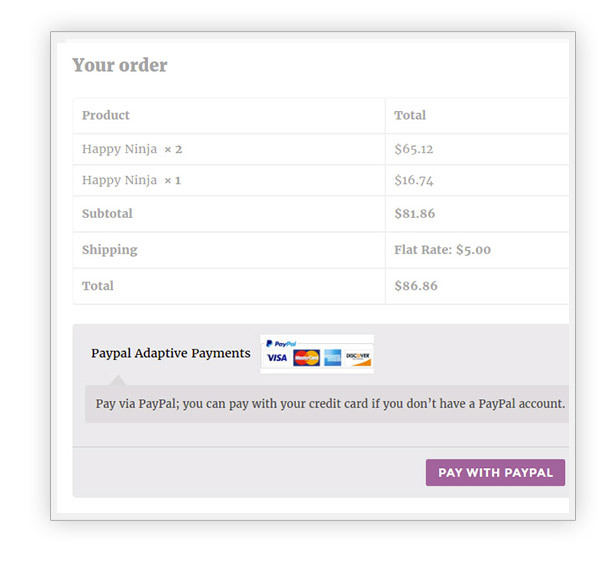 YITH WooCommerce PayPal Adaptive Payments Extension: allows you to share the payments you receive on your store with all the partners you want, instantly and automatically. 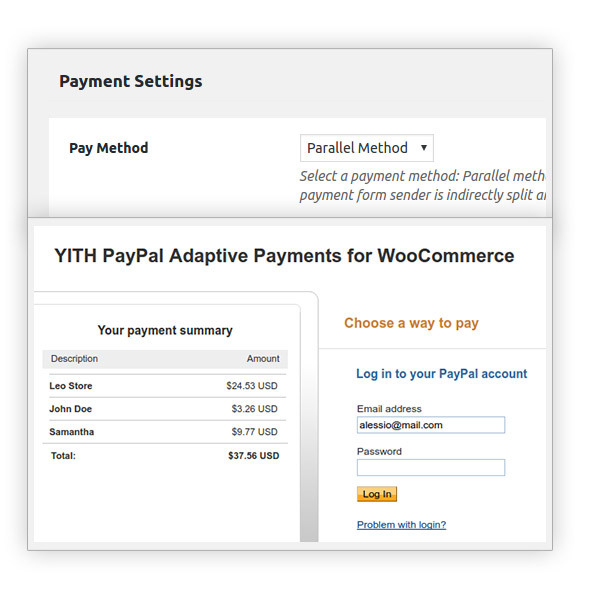 YITH PayPal Adaptive Payments for WooCommerce allows you to share the payments you receive on your store with all the partners you want, instantly and automatically. 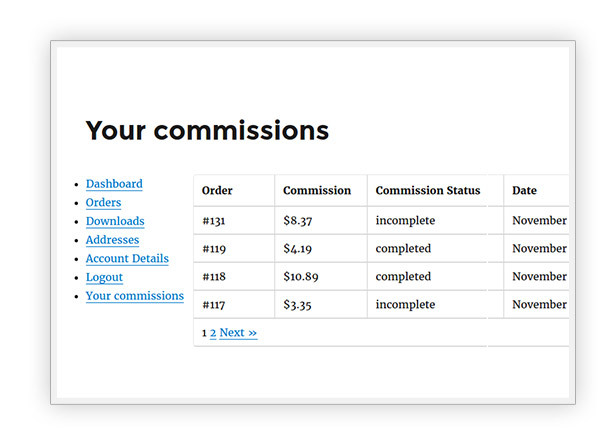 You will just have to specify the share of the income and your partner’s PayPalaccount and our plugin will take care of the rest, using PayPal’s API keys it will let you share the payments of all of your sales and to receive the money immediately on each respective account. This system is great! It will not only allow you to have a potential number of collaborators or partners, but you will also be able to handle them in a quick and easy way. 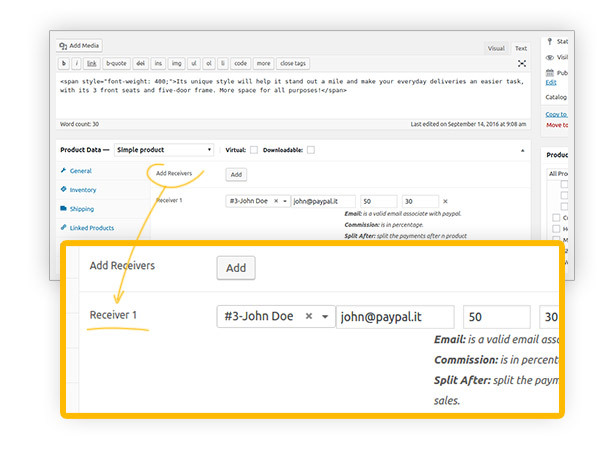 Besides, thanks to the compatibility with our best seller plugin YITH WooCommerce Multi Vendor you can perform automatic payments to all of your vendors in order to save precious time.